Hot News: Iron Mask “God Punishes, I Kill” video clip! IRON MASK have just released a video clip for their song „God Punishes, I Kill“, taken from their latest album „Black As Death”. After extensive filming and a quite time-consuming post-production, the clip is available now here. Hot News: Iron Mask unveil cover und tracklisting of „Fifth Son Of Winterdoom“ album! 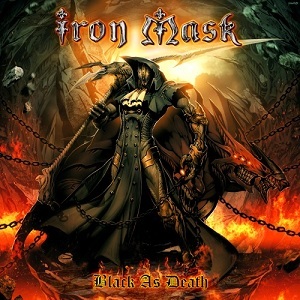 Hot News – Iron Mask: „Black As Death“ CD & limited 2-vinyl edition! Hot News – Iron Mask: “Black As Death” Cover artwork unveiled / new song online! Hot News – Iron Mask signs with AFM Records / new album in December!